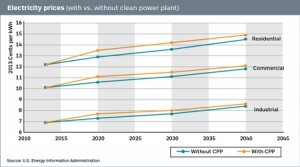 On Aug. 3, 2015, the U.S. Environmental Protection Agency (EPA) has announced the Clean Power Plan (CPP), an “historic” plan to reduce greenhouse gas (GHG) emissions from existing power plants. There are many controversies surrounding the rule (EPA received more than 1.5 million comments on the draft) and several legal challenges are pending. However, let’s leave those issues to the environmentalists, the utilities and the lawyers. Instead, let’s examine what this rule is and how will it affect utility customers and engineering companies. 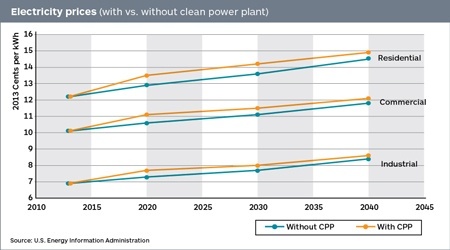 In a nutshell, the CPP is about reducing GHG emissions by shifting electricity generation away from coal combustion toward natural gas combustion and renewable energy sources. The rule focuses on electric utilities because they account for one-third of total U.S. GHG emissions. Reducing GHG emissions is more about prevention than control. Most regulations affecting power plants aim to convert a pollutant into less harmful molecules. For example, in the control of nitrogen dioxide (NO2) from combustion, a selective catalytic reduction (SCR) system uses a catalyst and ammonia (NH3) to transform NO2 into nitrogen (N2) and water (H2O). It is not feasible to transform CO2 after it is produced as a combustion byproduct, research has focused on capturing CO2 and storing it so that it doesn’t enter the atmosphere. This process, commonly called carbon capture and sequestration (CCS), is technically feasible when used in conduction with oil and natural gas production. The captured CO2 is injected into the ground to enhance resource recovery. CO2 displaces the oil and gas underground, flushing it to the production pipeline. It then remains locked inside underground porous rock. The problem with large-scale CCS is that it is expensive when not offset by the economic recovery of oil and natural gas production. Additionally, not all underground rocks are suitable for long-term CO2 storage, making it necessary to build pipelines to get the CO2 to suitable rock formations. In general, many environmentalists do not favor CCS because they would rather see efforts put into production of energy through renewable sources. 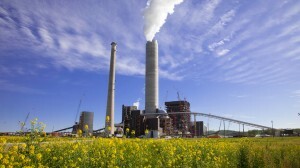 The CPP will mandate changes in the current fuel mix from active power plants. These types of policy shifts have traditionally been left to the North American Electric Reliability Corp. (NERC), whose responsibilities include maintaining the reliability of the national’s power grid, and to economic forces, which have been responsible in part for the trend toward more natural gas generation due to falling natural gas prices. Many utilities have already shut down coal-fired power plants or converted to natural gas-combustion in response to other environmental regulations. Therefore, the CPP acts to continue and accelerate this trend. The traditional models to regulate air emissions look at a specific piece of equipment (New Source Performance Standards), project- and plant-wide emissions (Prevention of Significant Deterioration) or cap-and-trade programs (Acid Rain). The CPP takes a wider view and looks at emissions from entire states and interconnection regions (as defined by NERC). Using this approach, every state is given its own specific target emission rates (pounds of CO2 per megawatt-hour of electricity generated—lb/MW-hr). States have the option to use equivalent mass-based standards (tons of CO2 emitted per year). EPA’s calculations led to different targets required for each state, as shown in Figure 1. Based on the 2013-14 utility CO2 emissions, eight states have no reduction required, 12 must reduce CO2 emissions by less than 20%, and the majority of states have reduction targets of greater than 20%. (Vermont is not included because it has no power plants.) Two or more states may cooperate to meet their combined goals. The Midwest has the highest reduction goals because it is dominated by coal-fired power plants. All state goals fall in a range between 771 lb/MW-hr (states that have only natural gas-fired plants) to 1,305 lb/MW-hr (states that only have coal- or oil-fired plants). Power sector CO2 emissions declined by 363 million metric tons between 2005 and 2013, due to a decline in coal’s generation share and growing use of natural gas and renewables. However, more will be needed for CPP compliance. The CPP leads to passionate opinions as to whether it will have “significant negative economic impacts” or if it is a “substantive step forward in reducing carbon emissions.” It’s hard to find a neutral analysis, but the closest might be from the U.S. Energy Information Administration (EIA), the statistical and analytical agency within the Department of Energy. The EIA expects retail electricity prices to rise under the CPP. Its May 2015 analysis is based on the CPP draft, but is unlikely to change drastically for the published August 2015 rule. As shown in the graph (on the right), rates will increase most in the early 2020s versus the baseline in response to initial compliance measures. The EIA expects increased rates under the CPP to remain higher than baseline at full implementation (2040), but to be less of an increase than at initial implementation of the rule. Engineering firms will experience both challenges and opportunities under the CPP. The most obvious effect is that it is extremely unlikely that a new coal-fired power plant will be built in the U.S. The requirements of the CPP plus other recent rules to control hazardous air pollutant emissions and regulation ash storage ponds make it cost-prohibitive to construct a new coal-fired boiler. However, the CPP was just the final nail in new coal’s coffin; new coal-fired boiler construction proposals died off around 2011. 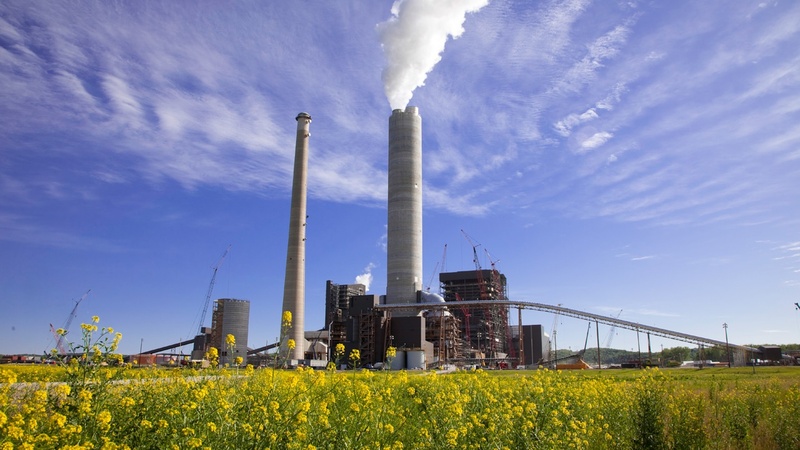 A growth market for engineers exists in helping existing large coal-fired utilities retrofit their fleet to reduce sulfur dioxide (SO2), NO2, particulate matter and mercury emissions to meet other Clean Air Act Rules. These plants are those deemed too large and important for baseload power to shut down. Another growth area lies in permitting, designing and building the natural gas-fired turbines and boilers that will provide baseload and peaking power. Existing gas-fired generation can be used more efficiently by switching from peaking production to baseload production, which often requires engineered modifications. However, renewable generation will be increasing its market share, engineers are required to both, site and design these plants as well as to build natural gas-fired internal combustion engines that can start up in less than 10 minutes and level production swings from wind generation. Finally, EPA considers Combined Heat and Power plants a resource for reducing power plant CO2, giving engineers an opportunity to design and build these types of plants. Nuclear generation is not included in the final CPP; however, emission reduction credits can be given to capacity uprates. New nuclear can be a zero GHG emitting source and displace fossil fuel emission sources. It may have taken years for the CPP to mature from an idea to a final proposed rule, but the pace has quickened. Initial state plans for CPP compliance are due to EPA on Sept. 6, 2016 and final plans are due in September 2018. Legal challenges are expected to reach the U.S. Supreme Court around 2017-2018. As currently planned, the interim compliance period begins in 2022. Now is the time to talk to your clients about their CPP compliance plan, engineering design for new power plants and modifications needed to retrofit their existing fleet. Robynn Andracsek is an environmental engineer at Burns & McDonnell. She specializes in air quality permitting and assists industrial and utility clients so they can obtain operating and construction air permits for their projects. An experienced speaker and writer, Robynn is also a contributing editor and monthly columnist for Power Engineering magazine, and a contributing editor at IHS Engineering360. This article first appeared on IHS Engineering360. Robynn Andracsek, PE, is an associate environmental engineer at Burns & McDonnell. She specializes in air quality permitting for industrial and utility clients.